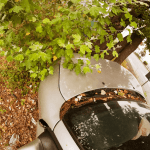 Rancho Cordova Accident Fatality – An fatal accident occurred when the driver of a Ford Fiesta crashed his vehicle on Highway 50 near Hazel Avenue in Rancho Cordova on October 1, 2018. The accident happened around 2:00 in the morning along eastbound Highway 50 when the driver, who was speeding, did not notice that Caltrans crews were out working along the highway, according to the California Highway Patrol (CHP). I want to extend my sympathy and prayers to the friends and family of the individual who died on the loss of their loved one. The driver of the Ford apparently spotted the work crews and vehicles too late and veered to try and avoid a collision. However, the car ended up colliding with one of the construction vehicles, ending up in the median of the highway. The driver was pronounced deceased at the scene of the collision. It is unknown at this time whether alcohol or drugs played a part in the accident. Several lanes along eastbound U.S. 50 were closed for a few hours as an investigation was conducted into the cause of the collision. Road construction and maintenance crews such as Caltrans are responsible for providing safety measures to prevent accidents with motor vehicles and others. If the government entity fails in that responsibility, such as having inadequate warning signs, lighting and other measures, they may be held responsible if an accident and resulting injuries and fatalities occur. 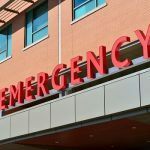 Speaking with a seasoned injury lawyer with experience in government entity claims may be helpful in these cases. A driver has a higher probability of losing control of their vehicle, resulting in a fatal accident. The distance needed to stop in an emergency situation is increased by the speed of a vehicle. Seat belts and airbags are less effective at higher speeds. Seat belts may even break, causing those riding in a vehicle to suffer more serious trauma, including traumatic brain injury. They may also be thrown out of the car, which increases the risk of a fatality. The higher the speed, the more the risk of amplifying the number and types of injuries suffered. For example, a back injury may occur in a motor vehicle accident, despite the use of seat belts. At a higher speed, the spinal cord may be damaged, causing much more serious injuries or permanent disability. When a loved one has been killed in a traffic collision that was due to negligence, an experienced injury lawyer may be able to help. 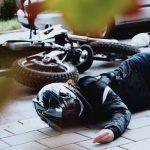 By examining the evidence, talking to witnesses and possibly reconstructing the accident to show fault, the lawyer can present a strong case for fair compensation for the remaining family members. 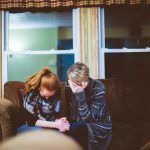 Although this won’t bring back the loved one, it will help the family move forward without the financial worry they may face otherwise. I’m Ed Smith, a Rancho Cordova wrongful death lawyer. Losing a loved one suddenly in an accident is a heartbreaking experience that is compounded if the crash was caused by negligence. If you lost your loved one due to someone else’s negligence, you may be able to claim fair compensation for that loss. Please give me a call at (916) 921-6400 for free and friendly advice. For those outside the area code, I offer a toll-free line at (800) 404-5400, or you can reach me through my online contact page. I have worked as an injury lawyer for Rancho Cordova and other areas in Northern California for more than 36 years. In that period, I have represented many people in helping them obtain fair compensation in their accident cases. Some of the areas I work in are all types of car accidents and brain injuries, along with other kinds of trauma. It has been my honor to have joined the Million Dollar Advocates, a forum set up to recognize trial lawyers who have won more than $1 million for a client. Photo Attribution: https://www.pexels.com/photo/close-up-of-teenage-girl-256657/Rancho Cordova Accident Fatality.